Crash Course – your effective everyday study companion PLUS the perfect antidote for exam stress! Save time and be assured you have all the information you need in one place to excel on your course and achieve exam success. A winning formula now for over 15 years, each volume has been fine-tuned and fully updated, with an improved layout tailored to make your life easier. 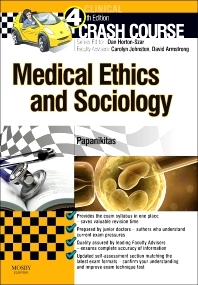 Especially written by senior medical students and junior doctors – those who understand what is essential for exam success – with all information thoroughly checked and quality assured by expert Faculty Advisers, the result is a series of books which exactly meets your needs and you know you can trust.